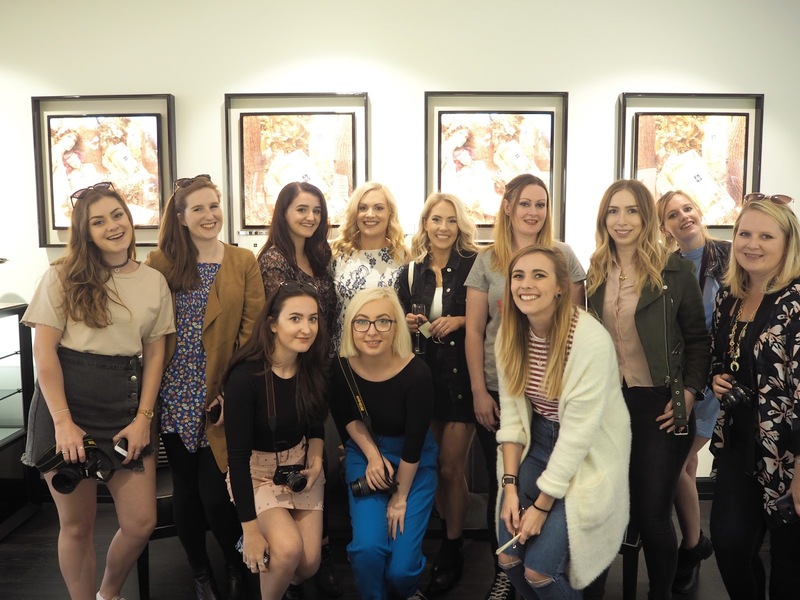 Last weekend myself and a group of the loveliest blogging girls were invited to the Jo Malone store at House of Fraser in Chichester to experience the brand new English Oak fragrances they have launched! They include: English Oak & Redcurrant and English Oak & Hazelnut both of these are vibrant wood-based colognes that epitomise Autumn! They are designed to recreate those magical and spellbinding woodland walks you would take as a child. The descriptions conjured up the dreamland of Alice in Wonderland stories for me. 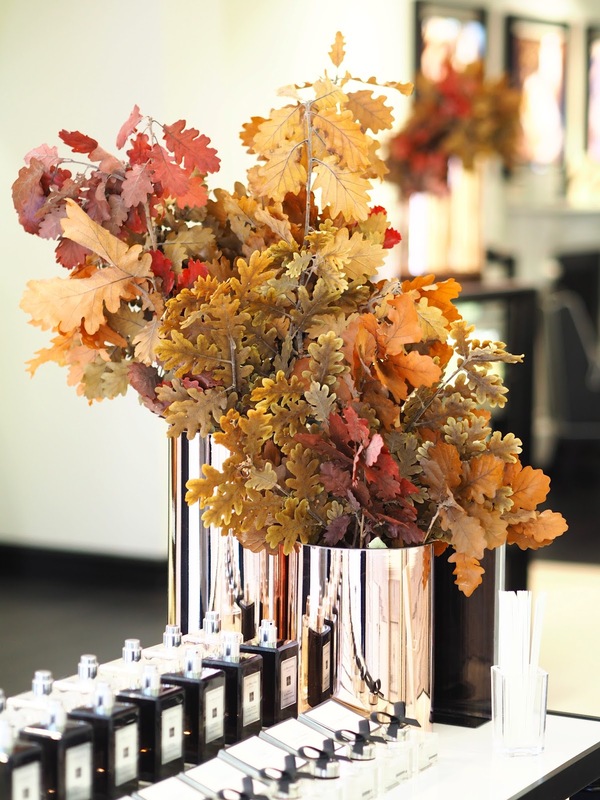 If you're looking for a perfect autumn scent then the search is most definitely over! 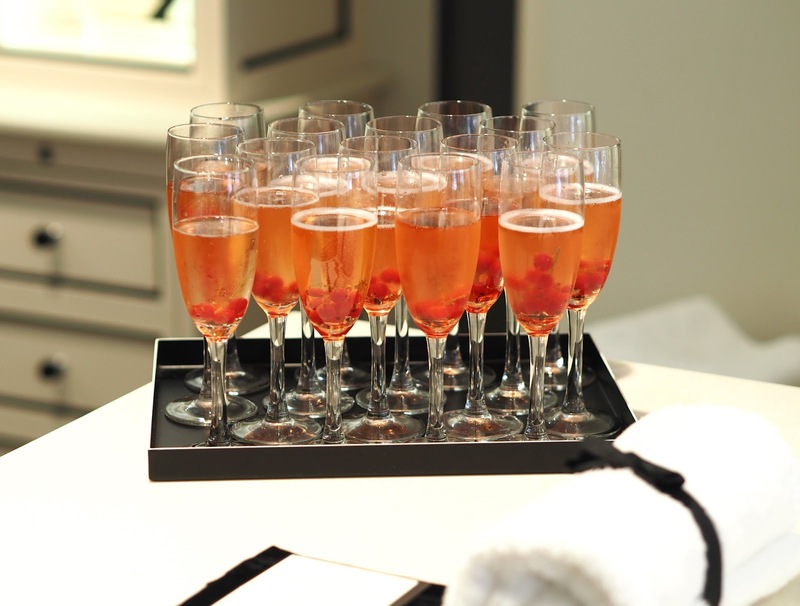 The lovely manager, Peter, was there waiting to welcome us with drinks before introducing us to the new fragrances. He talked us through each individual tasting notes of scents. Roasted Oak is in the base of both fragrances and is a really deep, warm, earthy note - it's beautiful. Apparently English Oak has never been used before in a fragrance and is currently unique to Jo Malone. Redcurrant is a bright, effervescent note that I believe Jo Malone use a lot in their scents. I particularly love the more fruity and floral types of fragrances and it really livens up the English Oak & Redcurrant Cologne for me. Green Hazelnut is in the top note of English Oak & Hazelnut and smelt amazing alone! It really did smell green and quite fresh. Peter then guided us through a few of their core fragrances that would compliment the English Oak scents when layering. We tried Grapefruit, Wild Bluebell (a personal favourite in Summer! ), Blackberry & Bay and Wood Sage & Sea Salt. I think the majority of us really liked the Blackberry and Bay combinations as that fragrance is also quite earthy and autumnal so matches well. 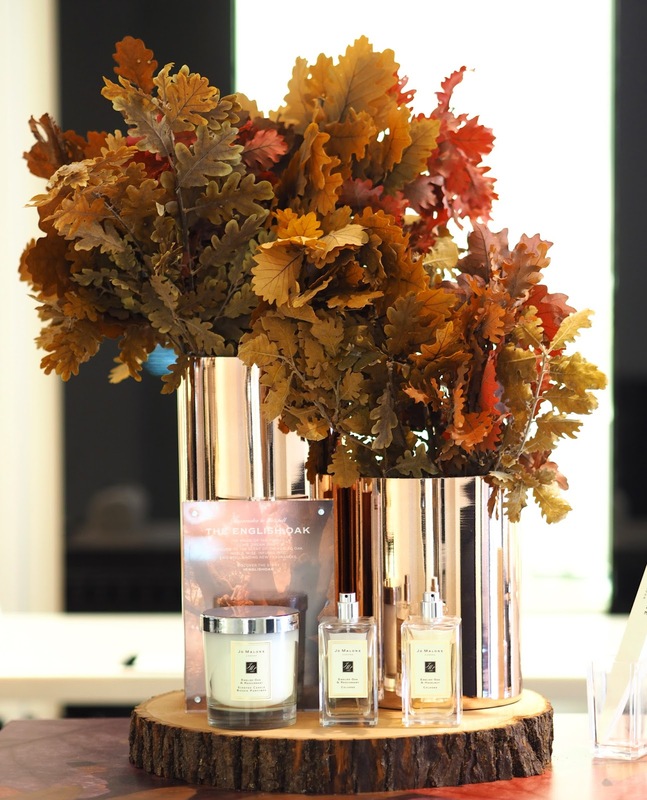 English Oak & Redcurrant | "The forest at dawn. The juicy bite of redcurrant. The zest of green mandarin. The freshness of rose softened with white musk. Enveloped in roasted oak. Bright. Embracing. Bewitching." Top Note: Redcurrant | An intensely fruity note with a tangy, juicy clarity which brings a sparkling contrast to the oak woodiness in the fragrance. Heart Note: Rose | As the fragrance unfurls, this opulent floral, with its spicy, honey facets wraps the scent with sumptuous texture. Base Note: Roasted Oak | A warm and compelling woody note that gives the addictive quality of roasted oak. This is definitely the one I was initially drawn to most, as I already mentioned I tend to go for more fruity and floral fragrances. I feel like this one is the more feminine of the two. 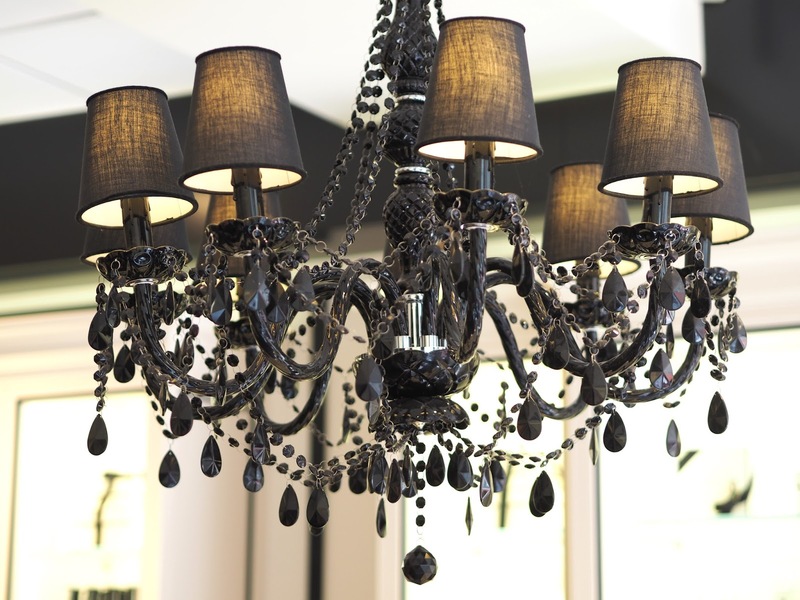 It is so beautiful and definitely on my wish list to purchase! 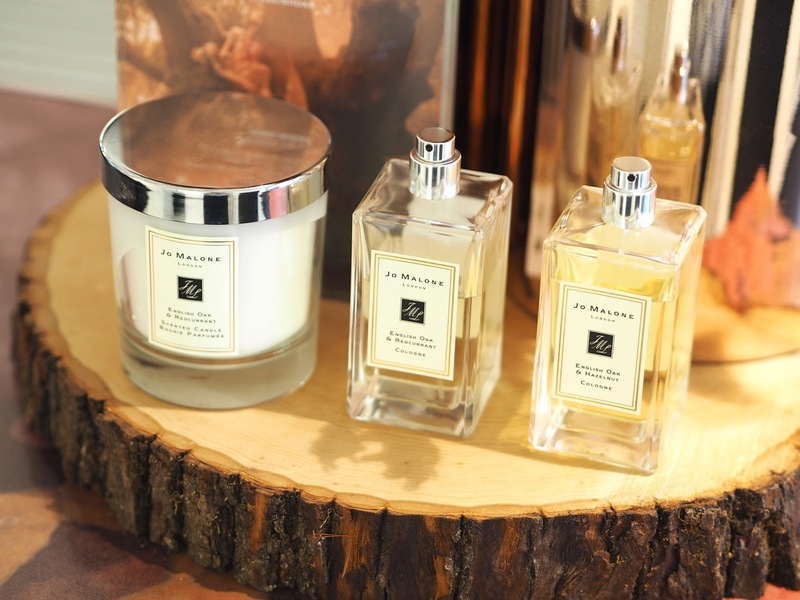 English Oak & Hazelnut | "An enchanted walk. The crunch of green hazelnut. The spice of elemi. The earthy woodiness of vetiver cooled by emerald moss carpets. On a warming base of roasted oak. Earthy. Enticing. Enchanting." Top Note: Green Hazelnut | A green note that induces a fresh and nutty feeling in the fragrance. Heart Note: Cedarwood | Its woody, dry character complements the heart with charismatic intensity. I wasn't too sure what to expect from this one as it's been put in the spicy fragrance family. However it is stunning! Particularly paired with Wood Sage & Sea Salt. I feel like this one is more unisex - to me it smelt like a handsome, sophisticated man! In my opinion no one does fragrance quite like Jo Malone! They're complex, evocative and long lasting. You know it's a great fragrance when it still smells as amazing hours later as it did when you first sprayed it! It's days later and my room is still filled with the scent of English Oak & Redcurrant that I spritzed onto the little leaf decorating my goodie bag. Both fragrances have been released into Jo Malone's permanent collection in the signature 100ml perfume bottle as well as 30ml bottle. English Oak & Redcurrant is also available in candle form, as a body crème, hand & body wash.
We were treated to luxurious hand and arm massages using our chosen complimenting body washes and crèmes to fully immerse ourselves in the perfumes and learn how to fragrance layer. The lovely Louise helped me decide on my scents and I chose to combine Wood Sage & Sea Salt wash & body crème with English Oak & Hazelnut cologne on one arm and Blackberry & Bay wash & body crème with English Oak & Redcurrant on the other. The loveliest bunch of blogging gals! Make sure you check out their blogs and give them a follow on social media. 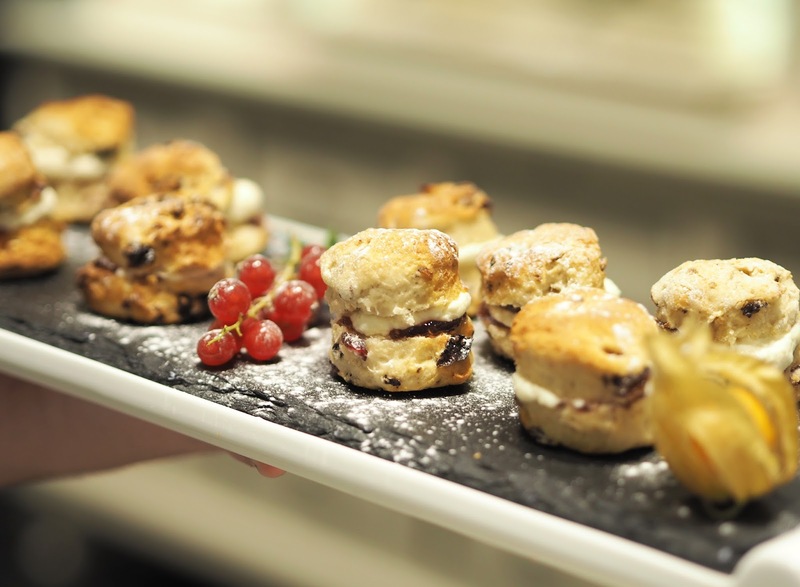 The Wild Mint Café in House of Fraser treated us to some delicious miniature scones with cream and redcurrant jam. What is it about miniature food that is just so inviting?! I was having my hand and arm massage at the time so only had one hand available at any given time, however I will admit I still managed to polish of 3+ of these beauties - sorry not sorry! Other snacks included little chocolates in the shape of Oak leaves - cute! 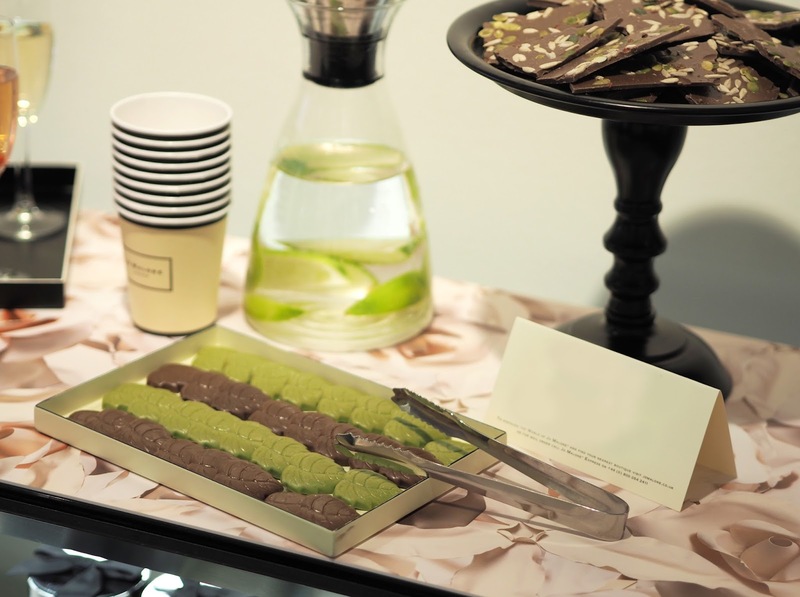 As well as chocolate bark full of pink peppercorns and seeds both created specifically for the event by Rococo. Special drinks were made up to compliment the fragrances - a cocktail of Nytimber sparkling wine and Norfolk Cordial (Redcurrant & Grapefruit) with some redcurrants in the glass, absolutely delicious! 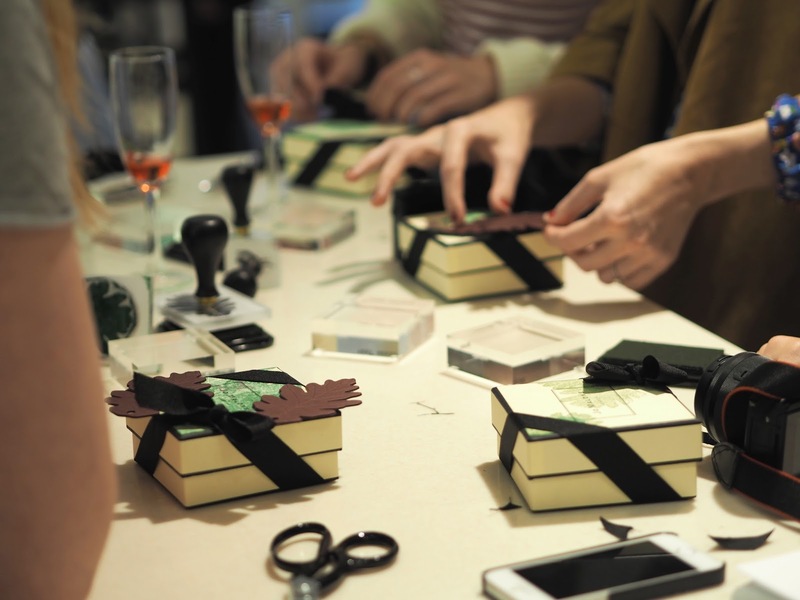 We then had fun making up our own little printed gift boxes! Louise helped up decorate them with leaf and fairy stamps and tying them with the signature Jo Malone black ribbon bow. Inside the gift box contained a mini Wood Sage & Sea Salt Cologne, Pomegranate Noir Body Crème and Peony & Blush Suede Shower Oil. I'm so delighted with these choices as I've been wanting the Wood Sage & Sea Salt in a full size Cologne but haven't got one yet and I've never had one of their Body Crèmes before so these will be great tasters! 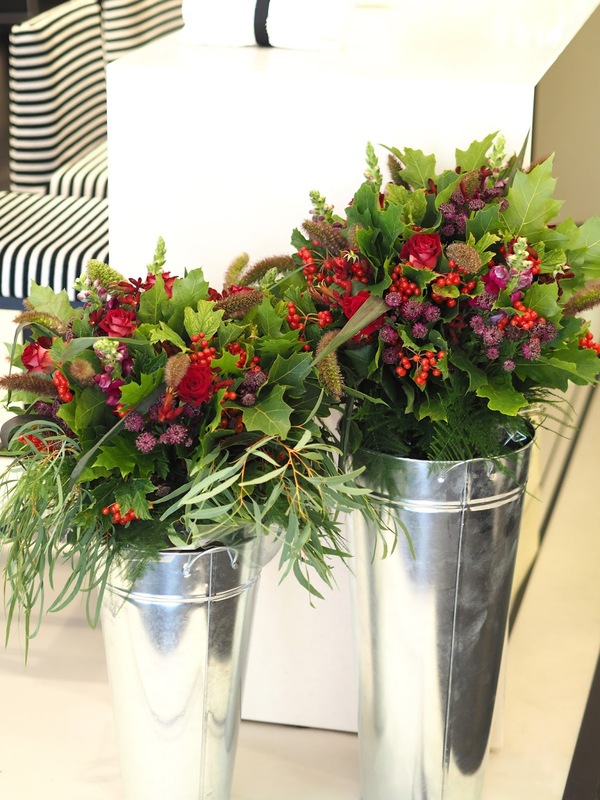 Nordic Twigs created some absolutely incredible looking floral displays for the event, which (of course) included redcurrants! 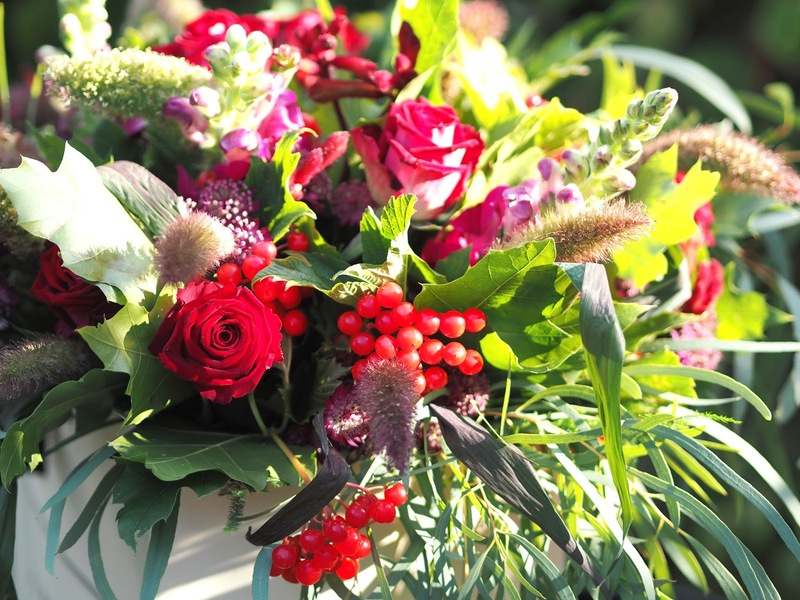 I was even gifted this stunning bouquet as a thank you for helping to organise the event - how lovely is that?! They are so beautiful, I've never had a bouquet like it in my life! 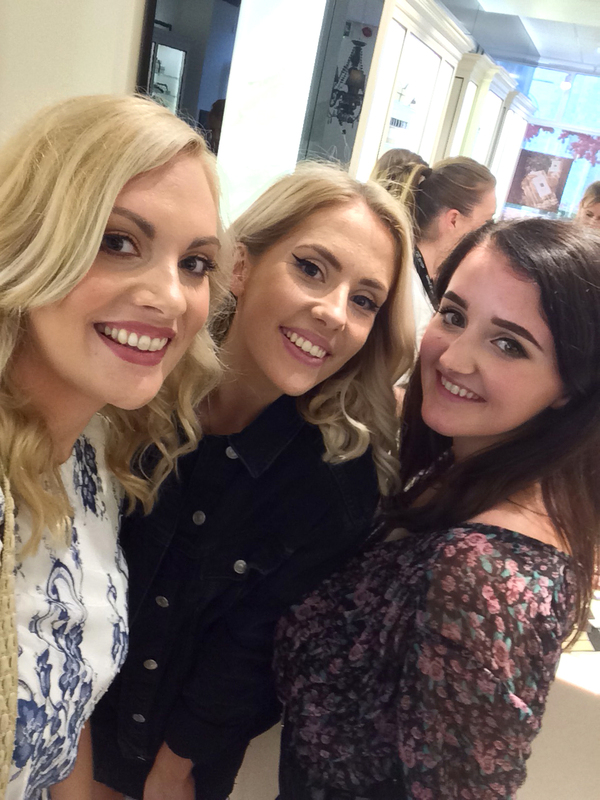 I had so much fun at this event and being able to catch up with some of my favourite girls as well as meeting some lovely new bloggers! Let me know if you have tried either of the English Oak scents yet! What is your favourite Jo Malone fragrance of all time? 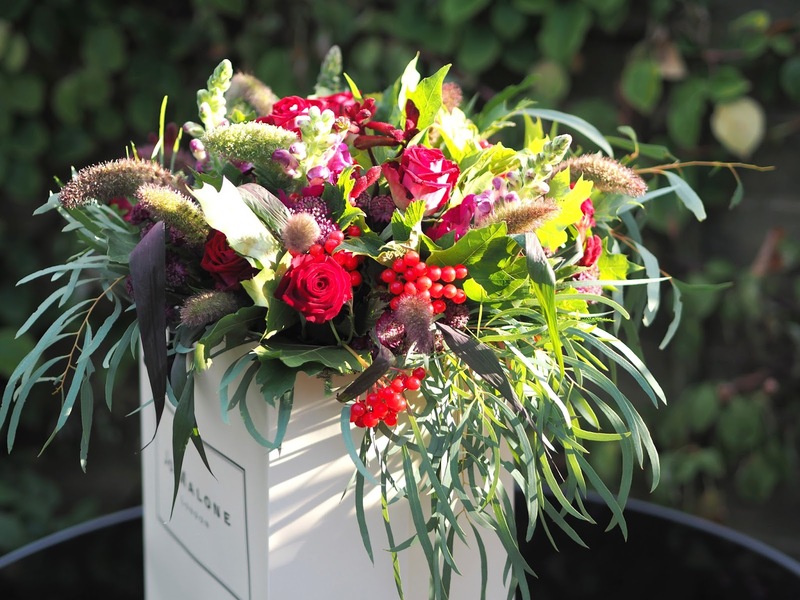 *I was invited to this event by Jo Malone however all opinion & photos are, as always my own. It was so fun finding out more about Jo Malone, I had such a fab time; especially meeting some new bloggers and some old favourites!! Katie this event sounds amazing. Such a shame I was unable to attend, as I absolutely love 'Jo Malone' and it sounds like you organised an incredible evening. The bouquet is so pretty. My favourite scent is definitely the 'wood sage and sea salt' cologne! I will have to try these scents next time I visit one of their stores. Maybe something to go on the list to Santa. Your blog is amazing by the way.